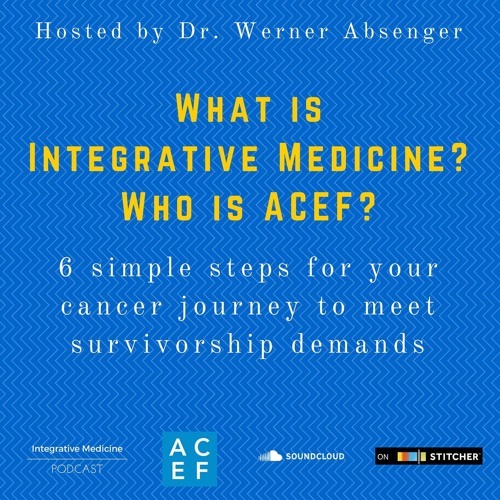 By listening to this podcast, you will develop a deeper understanding how ACEF improves the quality of life of cancer survivors, caregivers, and persons living with chronic illness through the suitable and evidence-based use of nutrition and mind-body medicine modalities in combination with conventional medicine. Buy What is Integrative Medicine? Who is ACEF? Users who like What is Integrative Medicine? Who is ACEF? Users who reposted What is Integrative Medicine? Who is ACEF? Playlists containing What is Integrative Medicine? Who is ACEF? More tracks like What is Integrative Medicine? Who is ACEF?